The Albergo del Senato Rome offers a series of useful links to help you plan your visit to the magical city of Rome, as well as providing guests with further information on hotels throughout the rest of Italy. Walk Inside Rome - Art, History, Food and Fun. Customized tours for the discerning travelers. Roman Candle Tours - Small group walking tours in Rome and throughout Italy offering an exceptional educational experience. Eternal City Education - highly educational tours of Rome by professors focusing on the development of western civilization. Restaurants OMH - Center of Rome Restaurant guide and reviews. Teatro dell’ Opera di Roma - Opera Information - Official site for the Rome Opera Theatre providing ticket information and upcoming events. Galleria Borghese - Official site for the Borghese gallery. Fiumicino Airport - Official site for Fiumicino International Airport, providing information regarding directions and terminals. Termini Train Station - Official site for trains running through Rome’s central train station. 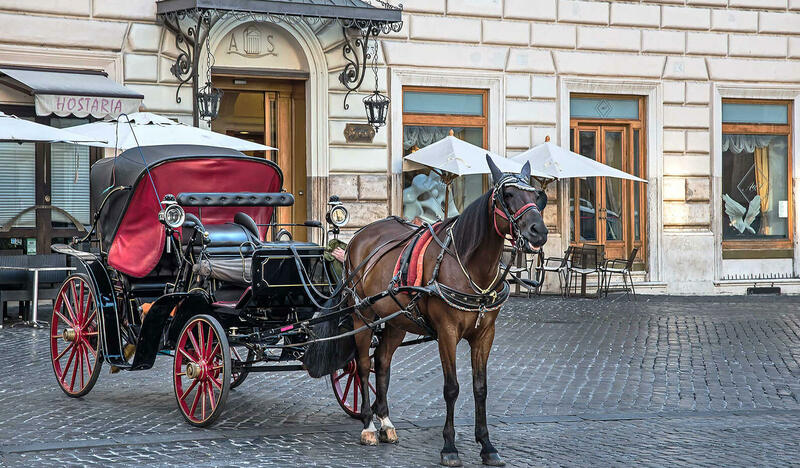 Romaturismo - Culture, Exhibitions, Sport, Previews and many more updated events in Rome. Hotel Villa Franceschi Venice - Opulent five-star accommodation with award-winning restaurant just 24 km from Venice. Romantik Hotel Villa Margherita Venice - Classic Venetian design defines this luxurious 4 star hotel in the northern Italian countryside. Ristorante Margherita Venice - High end restaurant in the Brenta Riviera serving two luxury hotels and specialising in seafood. Hotel Ecoalbergo Bracciano - On the shores of the volcanic lake Bracciano is located this 3 star eco-friendly accommodation. Hotel Casale La Sterpaia Pisa - Restored 19th century farmhouse and stables now a three star hotel near Pisa. Hotel Medici Florence - In the centre of Florence, this hotel is a great budget hotel. Hotel Lisbona Venice - A beautiful 3 Star Venice Hotel centrally located in the breath taking city of Venice. Perfectly located, Hotel Lisbona overlooks the San Moisé Canal, and is within a 2 minute walk to the famous St. Mark’s. J and J Historic House Hotel Florence - Quality exclusive accommodation. Hotel Centrale Amalfi - This impeccable 3 Star Amalfi Hotel has a central location allowing guests to explore Italy’s most spectacular coastline. Hotel Dover Milan - Budget 2 star accommodation in the city centre of one of Europe’s coolest destinations. Hotel Casale La Sterpaia Pisa - a stunning 3 star hotel located in a refurbished 19th century Farmhouse.